I started my DVD collection back in 2001 when I was still in high school. The idea of a DVD commentary track was especially interesting to someone like me who was interested in getting into film and learning more about what happens behind the scenes. Keep in mind that this was pre-YouTube and it was exciting to finally have an on-demand window into the production details of your favorite movies as told by the people involved. This special feature has now become pretty common, however it's clear that some actors and directors still don't really understand what the commentary track is for. 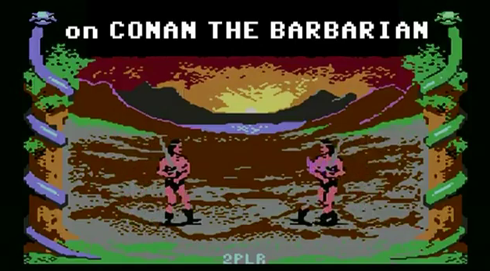 Case in point, these hilarious commentary excerpts from Arnold Schwarzenegger and John Milius on Conan the Barbarian. They basically narrate exactly what's on screen and ask questions. It's one of the best/worst DVD commentary tracks I've ever heard. It's still second to the brilliantly hilarious in-character commentary on This is Spinal Tap however.